With EPs from Headhunter, Orphan 101, Arkist and now Bloodman, Bristol's Deca Rhythm have set a distinctly dystopian aesthetic. 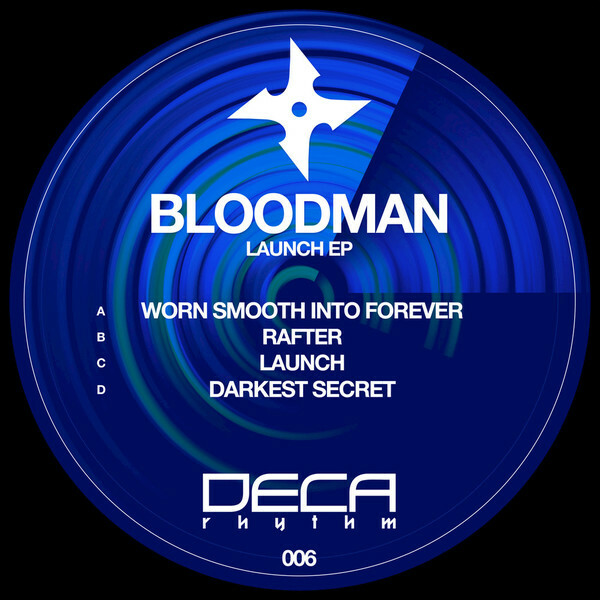 Bloodman upholds the vibe perfectly with the 'Launch EP', skulking through Bass-weighted horror synth zones akin to moments of Hyetal's debut album on 'Worn Smooth Into Forever', and grooving to moodier Deep House strains of 'Rafter'. The title track is more dub dynamic, spaced-out with spooky organ motif and surging synths over propulsive steppers bass, while 'Darkest Secret' is infested with a swarm of wickedly dissonant strings.